I’ve been kind of busy these past few months. 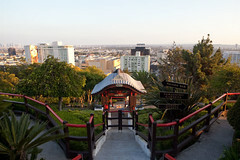 It all culminated a week ago at Yamashiro, atop the Hollywood hill that also hosts The Magic Castle. Indeed, it really was magical. All the hard work really paid off – at least from where we were standing. And it was fun to celebrate a culture that only continues to influence as well as permeate our urban lifestyle in Los Angeles. We tried to celebrate that in the best way we know how. With last year being an inaugural success, the Blogger Prom Committee and I had a solid boiler plate to improve upon for this year. While it was fun to recreate the ’80s, we knew that we wanted to keep things interesting and change it up. So, we decided to go even further back in time and a tad more grown-up. OK, maybe a lot more grown-up – as in glamorous Hollywood. 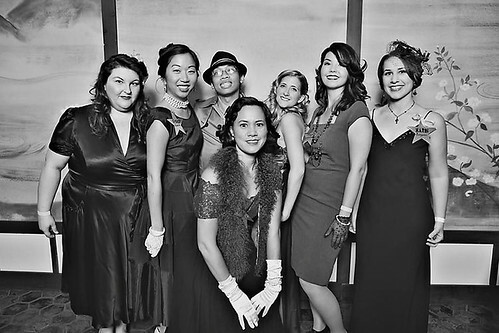 We became inspired by a particular Los Angeles-specific movie chronicling crime, press and celebrity in the ’30s and ’40s; our theme was Hollywood Confidential. 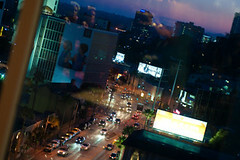 Fortunately, we also had the setting that would be the perfect backdrop for our theme – Yamashiro. Their team was an absolute dream to work with ï»¿throughout the entire process, displaying the utmost in professionality and hospitality. I would recommend Yamashiro to anyone looking for a place to hold a high class event. …And the food! Who could forget the food? 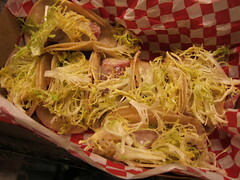 Chef Brock of Yamashiro brought his famous Garden Market tacos to the event as well as unveiled a brand new one incorporating Brock Family Farms’ sausage. They were delicious and perfectly complemented by his als0-famous wasabi guacamole and chips. Passed YamaBites were plentiful and guests enjoyed Asian-style ribs, albacore with jalapeno on fried crackers and more. We had Barrie Lynn, the Cheese Impresario, return from last year and educate us on the wonders of Wisconsin cheese. It is always a joy to have her and as a cheese fanatic, myself, I couldn’t be happier she was there. We also had amazing chocolates from Chocolate Box Cafe and Coolhaus ice cream sandwiches where you could customize your own sandwich. Last year, it was an amazing thing to flex our star power and experience first-hand just what muscle L.A. bloggers have as influencers on our city. This year, we wanted to take it to another level and give back not only to bloggers but also to our community. 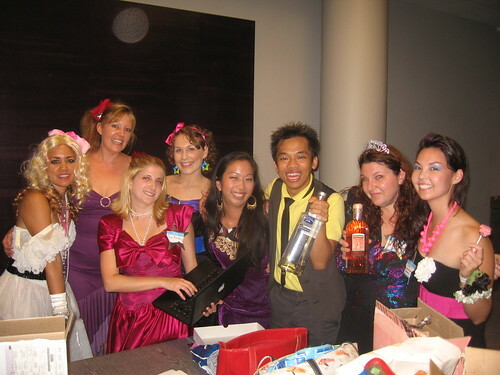 And so, thanks to Blogger Prom Committee for taking on my suggestion of benefiting Operation Frontline Los Angeles. I became inspired by their ground-up approach to cooking and nutrition by providing classes to those who would otherwise not have access to these invaluable tools. (You can still donate to Operation Frontline Los Angeles here.) Admission to our closed event required a $10 donation to OFL, with Goldstar so graciously providing the donation ticketing. We ended up raising $2400 for the program. I’m proud that with all our resources, we could put on such a great event while benefiting a great cause. Where are you eating on Sunday? Hopefully you’re looking for a spot to brunch or dine at, because this particular round-up is one I can’t take advantage of myself since I’ll be in Mammoth. Whether you’re looking for bottomless bubbly, a buffet, a prix fixe menu or simply special dishesÂ offered for the holiday, there are plenty of options all around town. Though I tried finding spots to represent the LA neighborhoods equally, apparently theÂ Christians live on the westside as most of the specials I’ve found skew toward that side of town. It’s a curious thing, especially to an adoptive eastsider likeÂ myself. 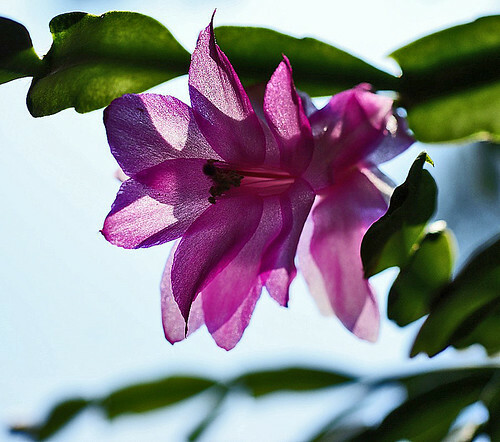 From 11 AM – 3 PM, Chaya’s all over Los Angeles will be offering a 3-course prix-fixe Easter Brunch menu. It will cost $35 for adults and $15 for young adults (12 and under), who have their own menu. For the adults, though, bottomless mimosas are included – so I’d highly recommend making a reservation right away to secure your slot. You can do this through Open Table. Grilled Free-Range Chicken Breast with Apple & Fourme dâ€™Ambert. You wouldn’t have known it, but we had just tasted Macallan 10 year Fine Oak as well as 18 year Sherry Oak and they may have very well been a source of inspiration. I put together a tasting thanks to Macallan’s PR company in Manhattan and invited some friends and bloggers (some of whom couldn’t make it but mostly everyone on Blogger Prom Committee were invited) to partake in the joy that is single-malt scotch. But I was glad Caroline on Crack, H.C. of LA OC Foodie, Julie Wolfson of LAist and Maya of ShopEatSleep were able to be there. The tasting was a really enjoyable and even educational experience. But we weren’t done yet. We left The Viceroy for the Phoenix-based La Grande Orange, which coincidentally was having its soft opening the very same night across the street at their Santa Monica mainstay. I continued in my comic relief: We’d dress up in sea green and salmon cummerbunds, matching dresses, corsages, boutonniÃ¨res and dyed-to-match satin shoes. We’d take funny prom photos, complete with guy standing behind girl and hands clasped in front. Braces showing and bangs sprayed to stand straight up. We all laughed at the idea. Exactly how much fun would that be?! Silly bloggers! AS IF there weren’t enough to get all Blogger Prom attendees excited about our special night – now there’s incentive to not have to worry about getting home at the end of the night. No, I won’t mention that there’s two signature cocktails and three sponsored spirits plus beer and wine that you weren’t legally allowed to drink during that other prom. I also won’t mention that Tommy’s mom – the one who kept sending you to the principal’s office – won’t be there to chaperone. 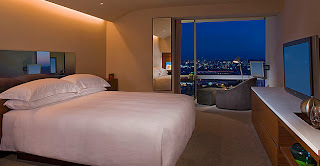 But what I will say is that all Blogger Prom attendees will be given a deep discount and be able to book one of Andaz West Hollywood‘s fabulous rooms this night (Wednesday, July 22) for $150. 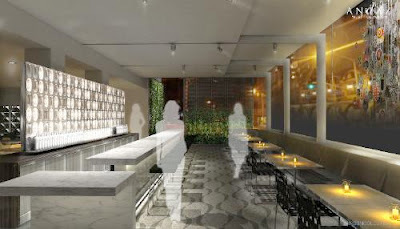 To top it all off, they will include a $50 credit to RH restaurant as part of the deal. Wow! To make a reservation, all you have to do is call Andaz West Hollywood at 1-800-233-1234 and tell them you are part of the cool crowd. Say you are a guest of Blogger Prom to get the special rate. And as a note to party crashers, all names on the reservations made with the hotel will be verified with our Blogger Prom attendee list. If your name isn’t verified, your card will be charged the regular rate – $245 for the night and no RH credit. So go ahead. Stay with us. We won’t be calling Mom & Dad to tell them you really aren’t sleeping over at Kevin or Jane’s house watching Mallrats on VHS.